The New InPhase IPX600 range of amplifiers from InPhase, are possibly one of the best car amplifiers available today. 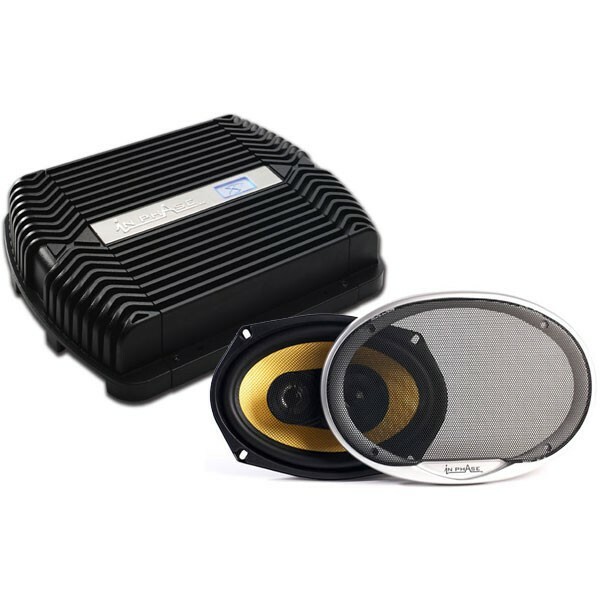 Car amplifiers are the heart of a system and need be of the best quality available for your budget. Inphase IPX600 car amplifiers have been renowned throughout the world and are rated vey high by some of the most famous musicians like Akon. All the Inphase IPX600 car amplifiers are hands assemble and go through 35 different check to make sure you get the best possible car amplifier today. The IPX600 car amplifiers give you the true RMS power to power your system. Some of the amazing features of the new Inphase IPX600 amplifiers are, Subsonic filter so you can adjust your amplifier to deliver more power to the desire frequency range, which mean more power to your speaker. Line in and line out so you can run as many InPhase amplifiers as you want one a single RCA cable. Dual layer circuit boards for improved sound quality and low resistance from internal parts give you a smaller and yet more powerful amplifier. Great pack and offer. I put this in my transit van. Sounds top! Loud and very clear. Interested in this as an upgrade but my head unit has no pre-out. Does the amp have a high level (speaker level) input? Does this come with a wiring kit for both the speakers and/or the amplifier? If so, could you please list what components the kit consists of?